Join the Society for Epidemiologic Research (SER) and the Society for Pediatric and Perinatal Epidemiologic Research (SPER) for a joint webinar! Members of all organizations are welcome to participate! Thanks to Una Grewal, Brian Whitcomb, Courtney Lynch, Anne Marie Jukic, and Jessie Buckley for organizing the SPER-SER Collaboration events. Dr. Darrow is an Associate Professor at the University of Nevada, Reno, and was previously a faculty member at Emory University. Her research interests are in the effects of exposures during pregnancy and early life on pregnancy outcomes, endocrine function, and respiratory disease. 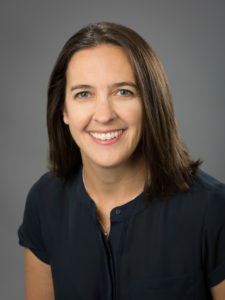 She has served as a principal investigator of 5 NIH grants (R01AI122266, R01ES028346, R03HD084884, R21ES019697, R03ES018963), including ongoing studies of early-life exposure to antibiotics in relation to childhood asthma and allergies (funded by NIAID), and heat waves in relation to preterm birth (funded by NIEHS). 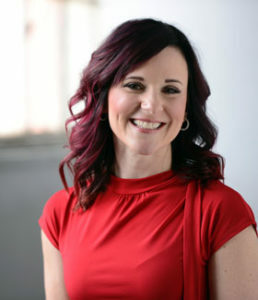 Lisa is vice-chair for research and associate professor of epidemiology at the University of Pittsburgh. Her research is focused on understanding the impact of nutrition and obesity during pregnancy on adverse maternal and child health outcomes. She has experience as the PI and joint PI of NIH grants funded by NICHD, NINR, and NIMH, including R01s (R01 HD094777; R01 NR014245; R01 HD072008; R01 HD056999), R21s (R21 HD065807; R21 HD067851) and a K01. Lisa teaches an NIH grant writing class to doctoral students and has mentored junior faculty to their first R01 grants. She still remembers the eagerness, anxiety, excitement, self-doubt, uncertainty, and (ultimately) joy she felt when writing her first funded R01. Getting your first R01 is daunting. Where do good ideas come from? How can you develop them into actionable research aims? What goes into an accurate budget? What are best practices for responding to a grant review summary statement? This seminar will feature advice from two successful grant writers in the field of pediatric and perinatal epidemiology: Drs. Lisa Bodnar and Lyndsey Darrow. After an overview of each presenter’s top grant writing tips, we will have a live Q&A to answer your burning questions!